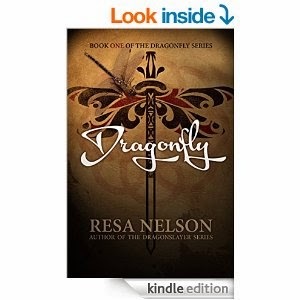 Dragonfly is set in the medieval fantasy world and follows the life of a young woman called Greeta (Dragonfly) who lives in a small Viking village of the Shining Star people in the Great Turtle Lands. Greeta is tall, paled skinned and blonde, unlike the Shining Star people who have darker skin. All Greeta longs for is a family of her own; however her plans change when her cousin and her childhood companion talk despairingly against her. She is in turmoil as her father won’t tell her the secret about her true nature and decides that she will accept the offer of the Sharman who will show her how to walk in Dreamtime. Greeta convinces herself that this is the way she will discover the secret about her existence and to carry out her dreams of having a family, but this is where some unexpected events occur and the sudden realisation of her bad choice will haunt her forever if she can’t find a way back to her family. Resa Nelson is a good writer worthy of her craft as she creates a world so atmospheric and perceivable that many readers will believe it really exists. Greetas plight is believable as she must learn to accept herself for who she is and I imagine a lot of readers will be able to identify with this young heroines journey. I would highly recommend this book to all YA fantasy fans. Aaron Baker is a writer who is working on a novel about a man with schizophrenia. In order for him to gain a better understanding of the long term mental disorder he willing takes residence for a week into a reputable mental institution. His main goals are to interact with the patients, to get to see how they react to their living environment and to go on and interview them to try and understand their world through their words. However, he soon discovers a mystery room in where the patients sometimes go for their treatment that he is blatantly denied access to, which eventually leaves him to speculate that the hospital has something sinister to hide. He confronts Dr. Reynolds, the director of the hospital about his concerns but it only results in hostility and the other hospital staff becoming more and more defensive when questioned about the room. Aaron collects different accounts of several patients he interviews about the mystery room only to discover their terrifying accounts of what really goes on in the room and instead of getting answers he is left with more questions. His questions eventually lead to a mind blowing secret that will alter his perception, his identity and everything he thought he knew and will change the course of his life path permanently. 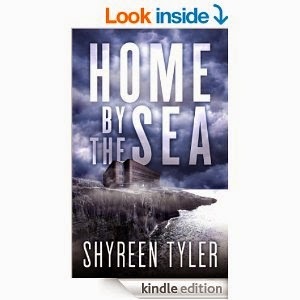 Home by the Sea is a unique psychological thriller with a brilliant opening, wonderfully written with a strong emotional impact that will grab the reader from the very onset and leave them breathless, especially with its highly unpredictable ending. Pilgrim is a revolutionary Interplanetary Exploration probe that will be sent to a newly discovered planet in our solar system. Its mission is to seek out extraterrestrial life. However, after a few minutes after launch Pilgrim malfunctions and crashes down to earth as several members of the military beforehand have altered the probes mission. 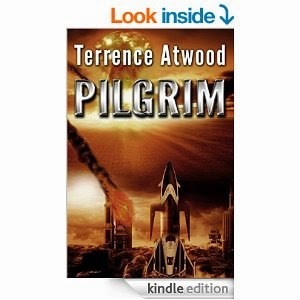 10 hours in to its original mission Pilgrim carries on with its tasks to explore the planet’s surface, navigating through any terrain, cutting through any obstacle that gets in its way and most importantly trying to seek out new life, while simultaneously eradicating all life forms by dissecting them, breaking them down to atoms so it can transmit the data back to earth. Catherine Tennison who is a planetary scientist that helped design and program Pilgrim unexpectedly loses her fiancée Chad, as Pilgrim kills him in cold blood before the launch. Catherine is unaware of the militaries secretive security device that they have installed into Pilgrim and goes in pursuit of Pilgrim along with Walt Macken, to try and stop it however, the tables soon turn as they soon become the hunted. The military can’t shut Pilgrim down; they can’t bomb it, or even get near it in its wake of mass destruction, despite their best efforts. Catherine soon teams up with the military against her better judgement to check if there is a flaw in its design, or a glitch in its programming to save the world as she knows it from Armageddon. The biggest question is will she succeed, or will it be end of humanity as we know it? Highly recommended reading for Sci-Fi fans. This author is clearly one to watch out for in the future and I look forward to reading more of his work. I would have personally like to have seen more character development with Catherine and Walt to add more substance to their desperate plight and hope in the next instalment this small issue will be addressed. Four uniquely incomparable people, Rick, Anna, Dan and Matylda each wake up in a separate part of a mysterious forest, unaware of their new surroundings, confused and in a state of panic after falling to sleep in their own worlds beforehand. It is not long before each of their paths cross and they soon discover they are all from different times, cities and even counties. Anna is from 2013, Rick is from 2001, Dan is from 2005 and Matylda is from 2004 and they have no clue about why they have all woken up in these endless woods with the unbearably hot sun that shows no signs of retiring. 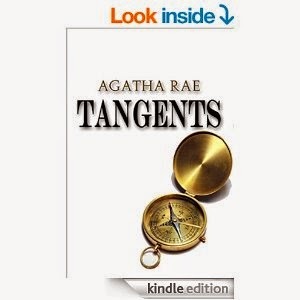 They decide to stick together in the hope that they can find a way out before it gets dark. In their journey for survival against many attacks from gigantic insects, enormous and deadly snakes and trees that come alive that try to strangle them with their roots. They soon discover they need to find refuge that will protect them from the strange forces of Mother Nature before they can figure a way out of this strange sphere without losing their lives. On their journey to safety they all learn a little about one another as each of them have a distinctive back story. As the story unfolds it becomes clear that each and every one of them seem to be experiencing some kind of turmoil with their loved ones. Anna eventually develops a devastating theory why they are all there and convinces the others that they all share links to overwhelming events in history that will soon take place and they need to get out of this place ASAP. But their biggest obstacle is how to get back to their lives in time to prevent the people they love from what is about to take place. A highly entertaining and addictive story with plenty of twists and turns to keep the reader guessing why these four uniquely different people have been brought together with an unexpected and breathtakingly good ending that will prompt any reader to wait anxiously for the second instalment. The battles that took place were perhaps some of the most bewildering periods in history for England and Europe as it involved a timely power struggle between the Lancastrians and the Yorkists, in their fight for the crown. David K Saunders skilfully steers the reader through the complexities and controversies that occurred in this period of history by bringing to life a number of authentic historical characters’. Each character has their own thoughts, theories and strategies including, treason, adultery, murder, blackmail, torture, kidnapping, theft of land and even witchcraft while cousin fights cousin and brother fights against brother in this savage conflict. Out the many characters’ in this book, I found I was intrigued with was Simon Langford, who continued with his father’s service to restore King Henry to his rightful throne by acting as a spy at Middleham Castle in an attempt to get information on Warwick’s strategies, troop movements and anything else that would aid the Lancastrians in their victory to retrieve the crown. Although the author did admit in his closing notes that the love affair between Simon and Margret of Anjou was purely fictitious, it was still highly engaging and a stroke of genius to add this slant as Margret did seem to have a sexless marriage to Henry. The torture scenes are not for the faint hearted, especially with John de Bothall, as he was sentenced to a traitors death, which included many of his body parts being cut off and burnt in a brazier in front of his eyes, his arms and legs hacked off and then finally his head. 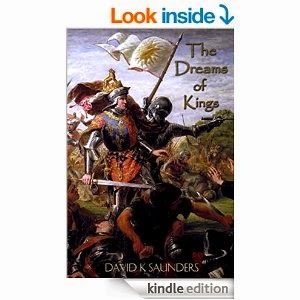 All of which leaves me to close, that David K Saunders knows his subject very well and writes with considerable insight into the power struggle and battles fought by the clashing fractions for the reigns of kings in the 15th century.